I feel very lucky to have such a lovely bunch of loyal, regular readers here on my blog who inspire me to continue creating great content. So as a big MERRY CHRISTMAS from me to you I've created an extra special Christmas Giveaway! 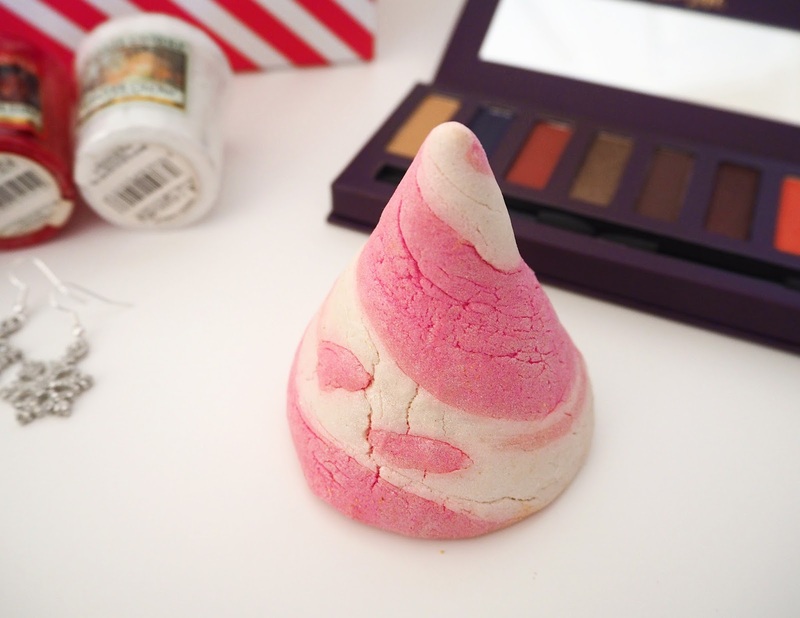 Lush Candy Mountain Bubble Bar: Every Christmas I get excited when Lush bring this sweet candy scented bubble bar out so I thought I would share the love & include this gem in my giveaway for you! "The wonderful sweetness of vanilla absolute is packed into this peak. Break it up under running water and embrace glistening ridges of bubbles and comforting creamy candy mist." 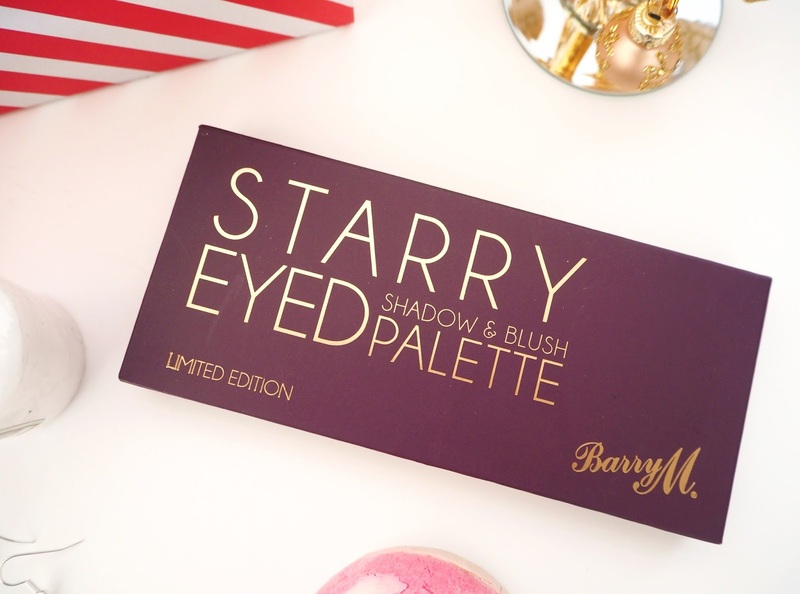 Barry M Starry Night Palette: A limited edition eyeshadow palette featuring rich, sparkling, metallic shades that are perfect for the party season! It also includes an peachy coral blush to bring a little warmth & brightness to your complexion, a large mirror and two applicators. Four Yankee Candle Votives: Five votive candles in different festive fragrances ranging from fruity & fresh to spicy. Warm Spice: "Deliciously indulgent and creamy ... a classic blend of vanilla, brown sugar, cinnamon and nutmeg.." (now a rare/hard to find fragrance). Holiday Garland: "The season comes to life in this lush aroma of fresh-cut pine boughs and zesty cranberries." Cosy By The Fire: "A warm mix of ginger, clove, and orange combines with woody notes to give the snap of a crackling fire and the comfort of a hot aromatic drink beside it." Winter Glow: "A crisp scent of frosted leaves on snow-covered trees in the cool air, all warmed by golden amber sun rays." Yankee Candle Bucket Holder: A cute little bucket holder designed to hold your votive candles (in this giveaway) but also tea lights! It's very good quality and clear glass so it will suit any décor. Tip: Before putting your votive candle in pop a small drop of water at the bottom, that way the residue from your candle will come out much more easily after burning. 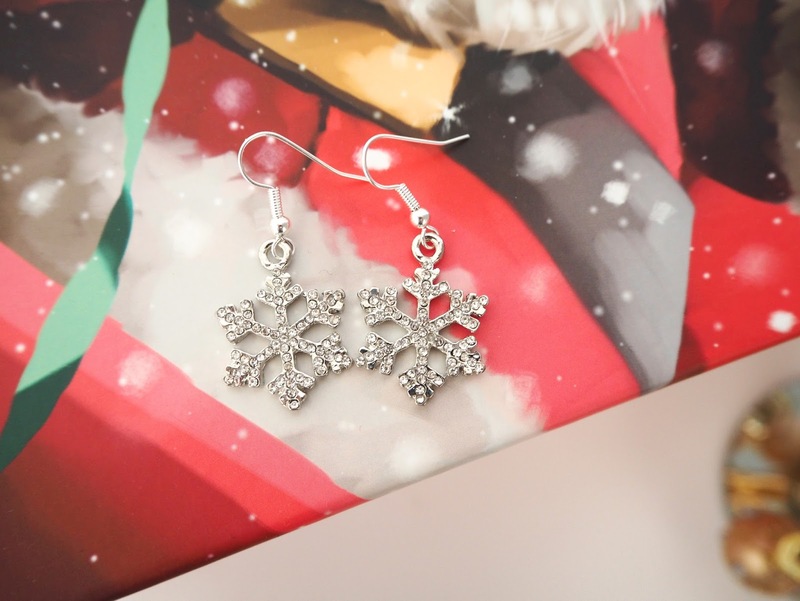 Silver Snowflake Earrings from My Beaded Treasures: As some of you will know I make jewellery which I sell in my etsy shop so I am including in this prize a pair of my most popular festive Earrings! It comes in it's own gift packaging and is of course handmade by me. Note: All these products were chosen & purchased by me. All you have to do to enter is to scroll down to the bottom of the post to find the entry form. There you will gain entries for following, liking and subscribing to my various social media channels. However what I would like most of all is for you to leave me a comment letting me know what kind of blogs you would like me to do in 2017? I’d really love to know your opinions as my lovely readers. For example ~ are you happy for me to continue my monthly Loves Lists, would you like more Outfit of the Days, Make Up & Skincare Reviews …etc or something else completely different! For this you will gain FIVE bonus competition entries! My giveaway is open from 28th of November - 20th of December 2016. Entries will be verified and then the winner will be selected on the 21st of December and contacted via email. If however the winner does not reply within 3 days it will be considered unclaimed and a new winner will be selected. Anyone is eligible to enter this is a worldwide giveaway. Being a beauty lover, I would like to see more makeup reviews ! 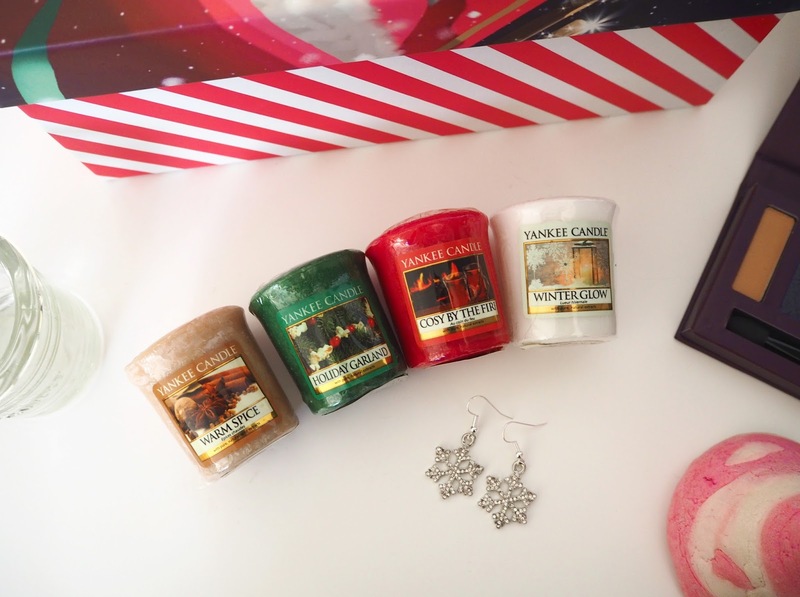 I'm literally obsessed with Yankee candles so if I won this giveaway I would be over the moon! Your earrings are super cute too! Glad I've found your YouTube channel I love watching vlogs :) I love seeing a mixture of posts on people's blogs, I love beauty, but I love travel posts, chatty posts, ones about people's fave tv shows, movies and books, Christmas posts so gift guides, decor, wish lists, diy gifts etc! I like reviews and love lists and I hope to see more look&outfit posts. I love travel posts!I hope to see more makeup reviews !Happy holidays! I've never actually burned a Yankee candle before so I would be so excited to try these out if I were the lucky winner! Thank you so much for offering the chance to win all these goodies! your blog is amazing; but some make up tutorials and how to choose the right colours would be amazing. I have just found your blog, and I find it refreshing. You hooked me on the rose gold post. I also love your ETSY shop. The loves list is my FAV! 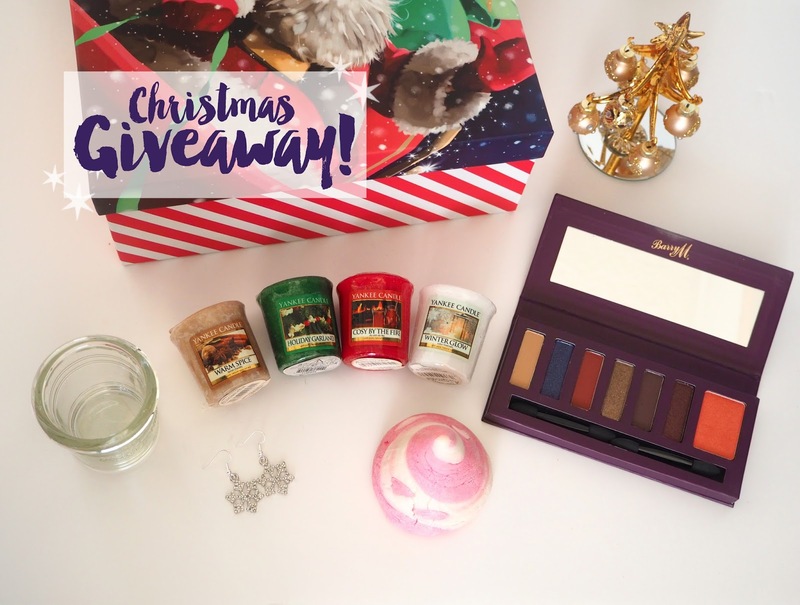 Such a lovely giveaway, perfect for Christmas! I love reviews on skincare as I'm yet to find one I absolutely love. I'd also love to know what eye shadow colours and lipstick colours etc go with what skin tones!